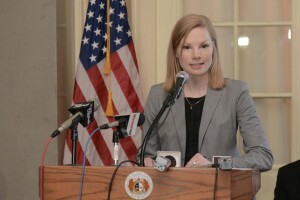 Missouri Auditor Nicole Galloway (D) issued a review Monday criticizing the state’s performance on delivery of refunds to taxpayers. A law passed by the state legislature in 2015 requires the state to issue refunds to tax filers within 45 days or pay interest on a delay in delivery. The audit by Galloway’s office found that 1.2 million out of 1.8 million refunds paid last year could have been delivered late by up to four months without any interest being paid. The examination found that 155,000 refunds were paid with late interest in 2017, an increase of 86 percent. In addition, it revealed at least 400,000 people were reimbursed late with no interest payment. 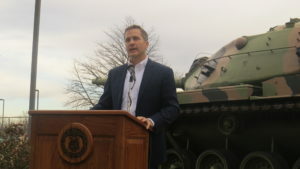 Galloway also accused Governor Eric Greitens’ (R) office of obstructing the audit, claiming her staff faced repeated delays and unwillingness by the administration to provide requested documents. Last spring, Galloway issued a subpoena to obtain information on the state’s management of income tax refunds. Among other things, the audit found that the Department of Revenue had $200 million worth of refunds processed and ready to be paid at one-point last year. Delivery was delayed, however, when the Office of Administration directed the money to be used on other spending priorities first. The report further found taxpayers pay a much higher interest rate when making late payments than the state is required to reimburse on delayed refunds. Residents pay 4 percent interest and a 5 percent penalty when filing late, while the state does not compensate taxpayers for late refunds, except in extreme cases. According to the audit, the Revenue Department doesn’t necessarily pay refunds in the order they were received, and selectively pays larger returns to avoid large interest payments. Galloway said that it addition to obstructing the audit, the Greitens administration refused to provide the standard written assurance it had not withheld relevant information from her staff. In response, Greitens’ spokesperson Parker Briden said the administration provided everything that the auditor was entitled to, which is why she had to withdraw her subpoena. Galloway is the only Democrat holding a statewide office, and is up for reelection this year. Greitens is a Republican who was elected governor in 2016 in his first run for public office.